Who is Jon Mac? I was browsing Youtube the other day to see what the Ecom guru's are up to and came across Jon Mac's channel. At the time of this writing he only has about 1900 subscribers so I figured he was new to the scene. Turns out, he's got quite a few courses online that are considered big ticket items. Normally guys like this have a sh*tload of subscribers on their channel so I was a bit taken back by this. Jon Mac is an author and speaker as well as a mentor & coach. He teaches people how to build their businesses while avoiding the hype like a lot of other coaches like to incorporate in their teaching. Jon has created a variety of products at different price points to try to appeal to everybody. His lowest end offer is a book on ecommerce training called "Cash Flow For Life" (it's a PDF) that he sells for $6.95. He claims that the book is about "battle-tested" tactics that are working for him right now. No doubt you will be put in his funnel to have other products marketed to you if you buy it. Priced at $1997, the Goldmine Method is one of his courses that he currently sells. The course focuses on which products are working right now (I'm assuming this gets updated VERY frequently, at least I hope) how to reverse engineer your competition and how to find the hottest niches in any marketplace. He also teaches some Facebook strategies using "secret" keywords. You'll also learn about pricing and ad copy. These do sound like your typical topics covered in most ecom courses today. You don't need to spend 2 grand on a course and another Youtuber named Tristan Broughton has a similar course selling for much less called the Product Winner Blueprint. Click to see my review on it. Fun fact - Tristan has a hell of a lot more Youtube subscribers! This course is a 6 week program on Facebook ads targeting. Week 6 - Bonus Case Studies - Jon provides you 3 sample campaigns applying the "Flex Method"
You get all this for just $1997. Ok, I am being a little sarcastic here regarding the price. Again folks, you don't need to spend crazy money like this to learn this stuff! How about a course that not only includes the above topics but much more like Google Ads, bots, funnels and more for less money? If that appeals to you, check out my review on eCom Elites, my #1 recommended Ecom course. If you can find a better one (regardless of the price) let me know please. I think you'll have a hard time finding a better alternative to be honest. This course is his newest online class that will show you how you can find the hottest products to sell on your ecom store. The modules include topics such as finding the best products to sell on your store from profitable niches. You also get a bonus section showing you 23 products in three different niches. Just remember folks that most products do have a shelf life - especially if they are fad products like fidget spinners. So if you ever buy a course that has a list of recommended products - keep in mind they are probably deathly saturated in the market already. This course will cost you a whopping $2997. Holy crap that's a lot of money. Here's a list of ecom courses that I review that are much cheaper and proven! This is a $2997 course that is for beginners up the the advanced level. 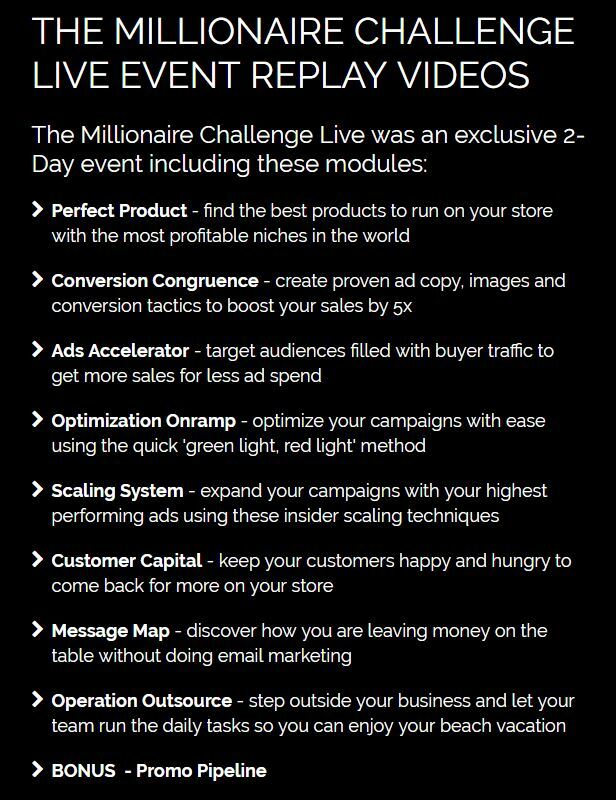 It's a 4 week program that focuses on Facebook ads and Ecommerce. Week 1 - Store Strategy: How to set your store up with the best apps. Week 3 - Ad Testing Strategy: Testing products the right way to find your winning products fast. Week 4 - Ad Scaling Strategy: How to scale your winning products using advanced scaling strategies. Just some comments on these modules. First, if you can afford to buy this course you can probably afford a premium theme. This would nullify week 1 because apps cost money that you have to pay monthly. With a premium theme, you get the functions of these apps built right into the theme. So don't waste your money. Forget apps and check out my premium Shopify themes here. Regarding the other modules, I think you're going to know what I'm going to say next. Just check out my other course recommendations in the links above - you'll see how much more is covered and for less money. Jon Mac also does live coaching, I've been to a few events in the past and they can be quite a bit of fun. Not only do you learn some new things but you also can establish some good connections. You get all this for the low, low price of $6000. In case you didn't know it, Jon Mac is the co-founder of CommerceHQ. 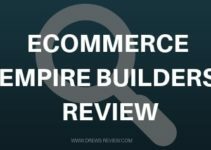 CommerceHQ is his answer to Shopify which competes with it directly. I've never used this product before to be honest and mostly because when it comes to ecommerce and dropshipping, Shopify is the king. There's many other platforms that try to compete with them and just can't do it. Everyone is using Shopify these days that are in the ecom space. It's so powerful that terms like "ecom store", "dropshipping store" and "Shopify store" are synonymous with one another. There really is no reason to go with something else. 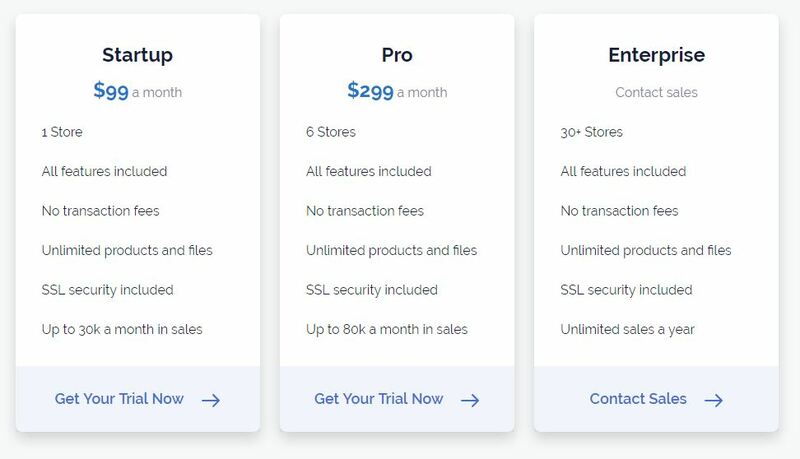 CommerceHQ starts at $99 a month where Shopify starts at $29 a month. You'd think the competition would be cheaper. Check out the packages below. If you're still interested in Jon Mac's products and just gotta have 'em you're free to do so. 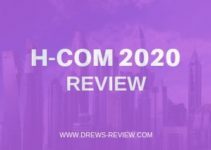 If you want to save yourself a ton of money then check out my top recommendations of ecom courses for 2019. 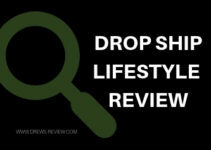 My top choice for ecom/dropshipping comes from a guy that really cares about providing tons of value for a price that is extremely fair. In the ecom game you need money to invest in your business and it's foolish to blow it all on inflated course prices. My simple message and the reason for doing this review was that you don't need to break the bank when it comes to learning ecom. The more expensive courses aren't necessarily better. A lot of these "Ecom Guru's" are out there to make a quick buck and don't really care about your success. Do consider my recommendations from instructors that walk the walk and care about their students' success.